Gazing up at mountains, climbing them, and taking in the sweeping vistas that mountain peaks afford, have always been among my favorite experiences. 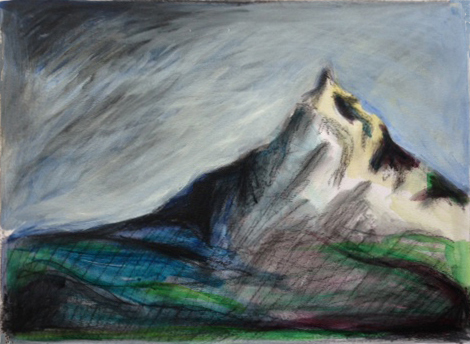 Fortunately, I have had the opportunity to hike, draw and paint in the Pacific Cascades, the Austrian and Swiss Alps, and other mountain locations. Many of my outdoor mountain studies continue to evolve in my studio.